Last year, the Delta Fire in California’s Shasta National Forest burned 63,311 acres and destroyed 20 structures before it could be completely contained on October 7. That wildfire also torched about seven miles of Interstate 5; closing the critical north-south highway for six days. 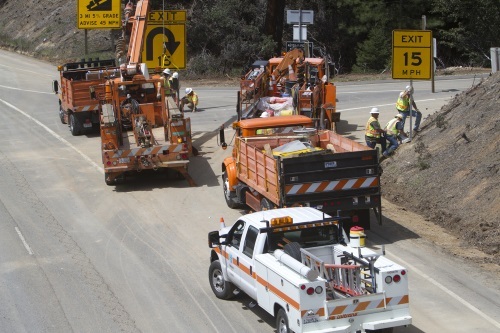 Now, the California Department of Transportation is in the midst of repairing the damage caused to I-5 by the Delta Fire – just one of many road-restoration projects being undertaken by Caltrans in the wake of several major wildfire incidences.